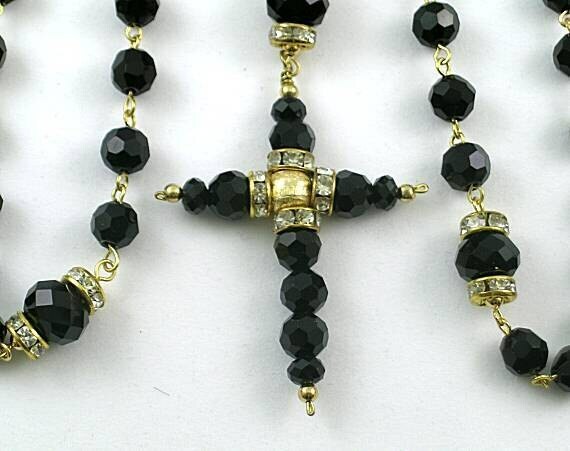 A standardized rosary consisting of 8mm Swarovski jet black crystal beads for the ave beads and 12mm x 10mm crystal roundels with crystal spacers as the paternoster beads. All are connected with bronze wire links. 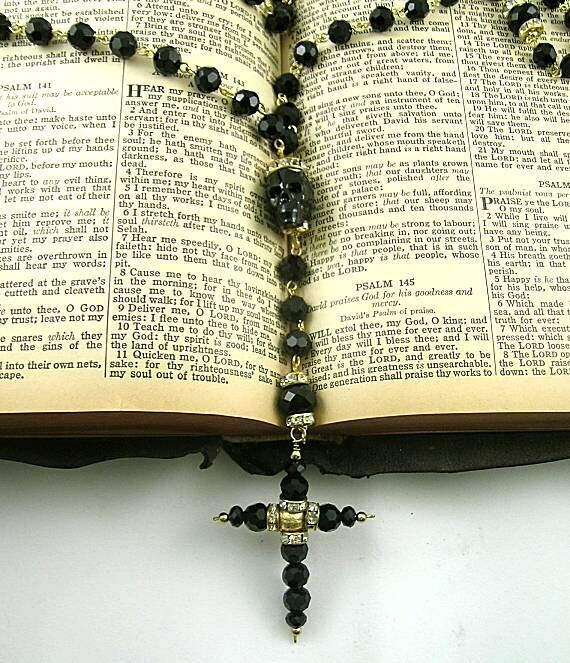 It has a 19x18x14mm jet black Swarovski crystal skull as the center paternoster and a handcrafted 2 1/4" x 1 3/4" cross hanging at the beginning of the "pathway to the rose garden". 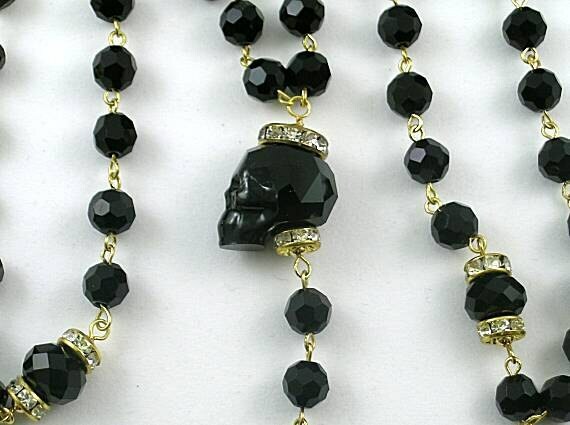 Metal and crystal spacers accent the paternosters, cross and skull which gives the skull the appearance of wearing a crown. Folded in half, it hangs 20 inches. 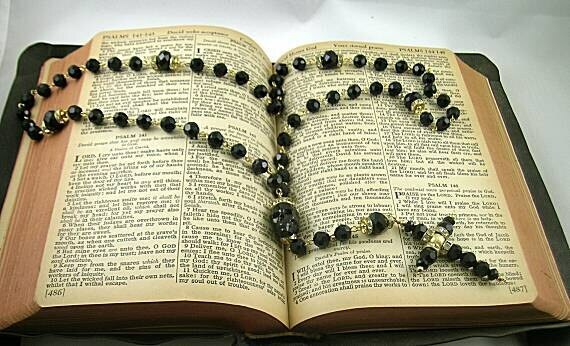 Also available with clear crystals by custom order. 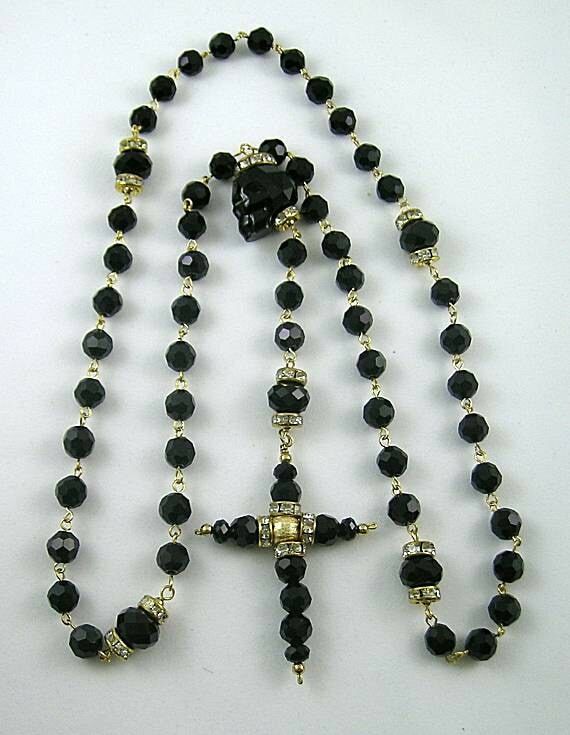 Rosaries were standardized in the late 16th century at the Council of Trent.